Filled with new and loved recipes, 4 Ingredients Celebrations is your new 'go-to’ entertaining cookbook. With a personal taste for entertaining combined with Kim's passion for making flavoursome food to be savoured, Celebrations promises to delight with everything a cook and host need to save time and money and create an event they will enjoy too! 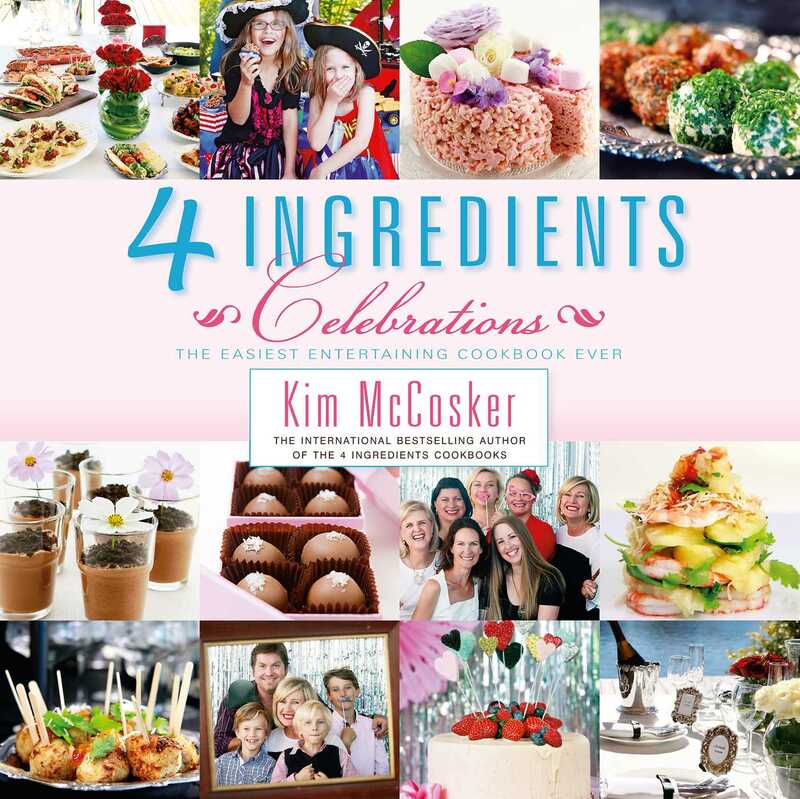 With meal ideas suitable for classic gatherings of Christmas, Easter and Birthdays, chapters also highlight Brunch, Lunch, Dinner and Desserts; Bubbly Bar (excellent for mum get-togethers), Footy Fever (fueled for men); and dedicated chapters for Bursting Boys and Gorgeous Girls birthday parties. Add to this a fine selection of Bomboniere - perfect as homemade gifts for Weddings, Anniversaries, Christenings and more. 4 Ingredients Celebrations will satisfy all year round. Recipes can be easily modified to delight a surprise lunch group with an amazing meal, or pre-prepared and frozen ahead of time; leaving just the fresh and final meals to make closer to time! You, as many have, will be amazed at how EASY and ELEGANT entertaining can be with just a few key ingredients!